Field Guides for the Way was born out of a shared love for spiritual practice. Here’s a little bit about who we are. We’d be honored to journey with you on your way. Kristen is a writer, speaker, and contemplative adventurer. 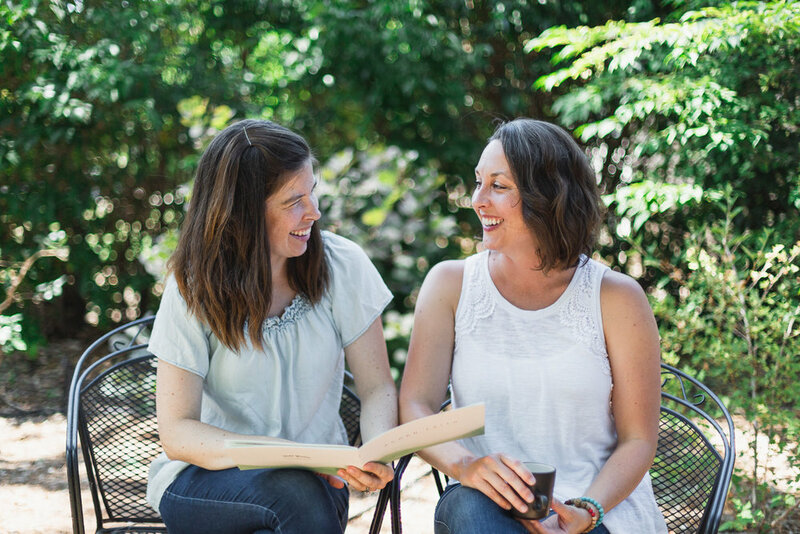 Creator of Field Guides for the Way and author of A Good Way Through, Kristen is a gifted story-teller and teacher. She is growing daily toward a life of integrity and love and invites others to do the same. She is a member of The Chapter and serves on the board for ReIMAGINE, a Center for Integral Christian Practice. She lives, works, and plays in San Francisco's East Bay with her husband and two young sons. Stephanie is co-creator of Field Guides for the Way. As a creative contemplative, she brings her passion for embodied spiritual practice, nature, and art to curating our kits. 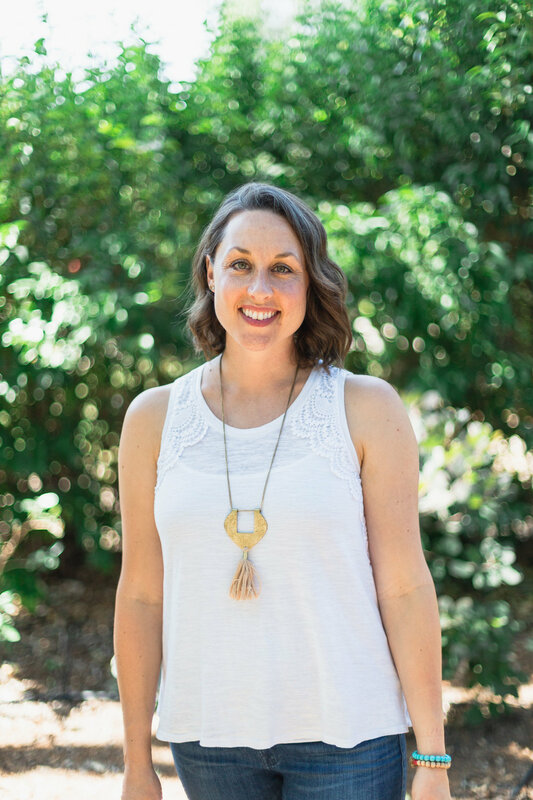 Stephanie is a graduate of Fuller Seminary, and is currently pursuing training as a spiritual director with Stillpoint. She serves on the leadership team of Alive and Well Women, a women’s wellness non-profit, as Curator of Aesthetics and Program Content. A lover of stories, poetry, and writing, Stephanie teaches literature to middle schoolers in Los Angeles, where she and her husband live. One summer we each found ourselves in a season of deep sorrow. Our regular practices of quiet prayer and Bible reading were feeling a bit thin. In a time of struggle, we needed new ways of opening our hearts to God. Kristen came up with the idea of doing a small watercolor each day in response to a poem. Stephanie decided to join her. What ensued transformed us both. Through art, nature, poetry, and God’s grace, healing found us. That summer marked the beginning of a decade of exploration into creative spiritual practice. We had tasted something our souls were craving, and ever since we’ve been discovering together fresh ways to encounter God in the everyday. 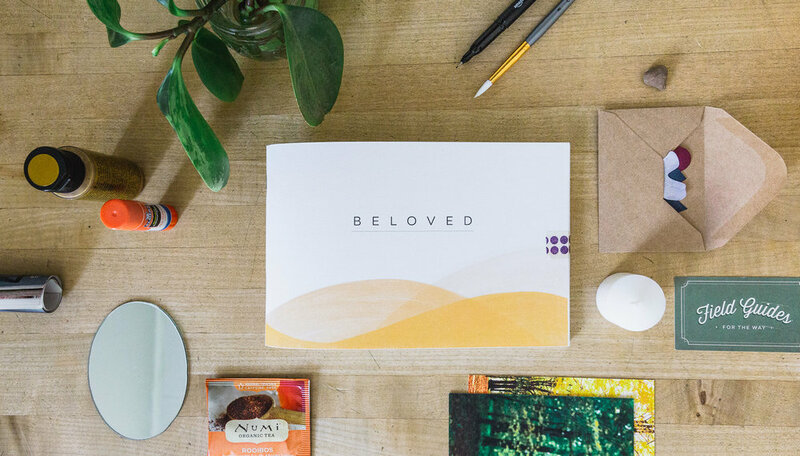 We still pray and read our Bibles, but we’ve discovered creative ways of doing so, through which God gives both solace and delight. We are excited for the opportunity to offer some of the good gifts we've discovered here, with the hope that others might also, through the power of God’s Spirit, experience transformation. There are so many beautiful ways to open ourselves and enter into God’s love, and when we do, we are made new! Field Guides for the Way is a partner of Vineyard Pilgrimage. Leah is a former journalist and a lifelong storyteller. She was born in Houston, grew up in India, moved to Portland, worked in Seattle for a few years, and is now making her way to the East Coast. She is an immigrant + empathizing romantic + pessimistic realist + Korean food enthusiast + ISFP + Enneagram type 2 + much more. Rick is a Vilas Distinguished Achievement Professor of Ecology at the University of Wisconsin-Madison. His research focuses on evolutionary ecology and global change ecology in forest ecosystems. He edits with the precision of a scientist and the heart of a poet. Rick is a graphic designer from Belo Horizonte, Brazil. 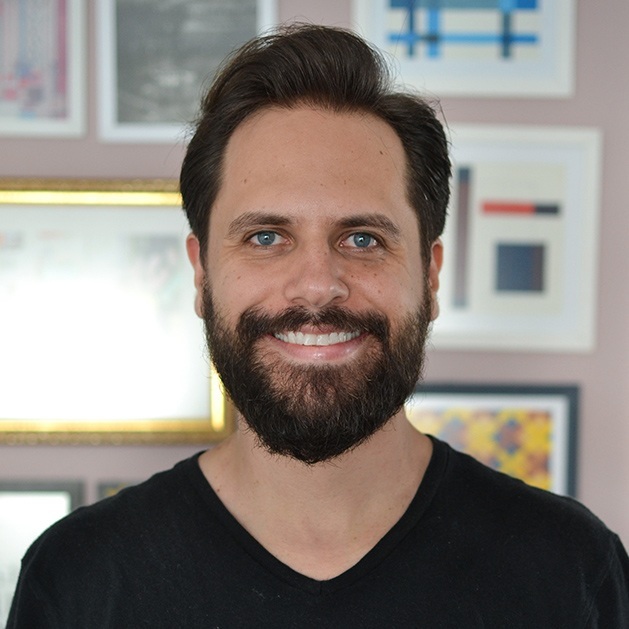 With 12 years of graphic design experience, he has been working for many publishers in Brazil and in the US, such as Zondervan, B&H and Christianity Today. He’s married to Priscila, and he’s also the father of two beautiful children, Théo and Olivia. Myles is an SF Bay Area born and raised former music producer and touring DJ who has transitioned into the world of video production. As the art director at BX Films, he crafts compelling visuals to bring stories to life with a precise attention to detail. In his free time he loves to camp, hike, shoot landscape photography, fly drones and is also kind of obsessed with ramen. Nina specializes in strategy-driven design, which means she helps entrepreneurs and businesses identify their goals, develop a marketing strategy, and then designs pieces and campaigns to support that strategy. She also loves baking, camping, and anything that gets her into the big blue sea.